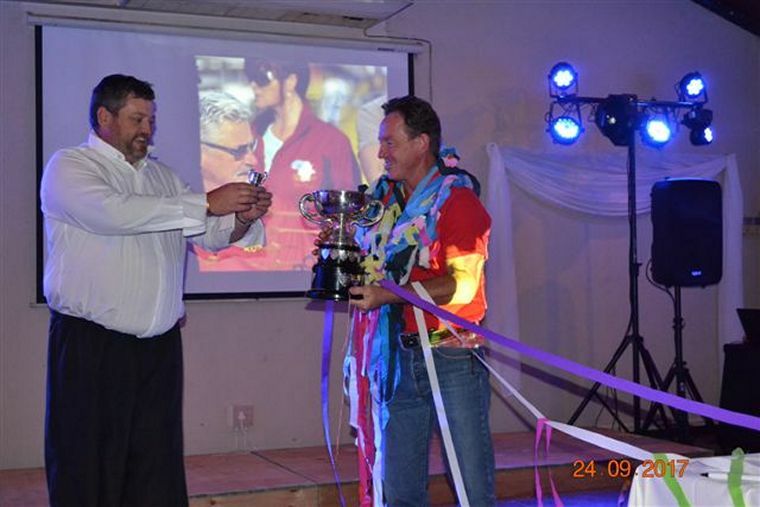 The MISASA annual Africa Cup was held at Hazyview again this year. Hotel Numbi provided the venue with a large safe parking space enough to accommodate all the aircraft. A total of 56 aircraft flew in for the event and 21 of the pilots took part in the competition. On Friday 22 September all types of microlights, light sport aircraft and gyros arrived at the Numbi Hotel. The weather was great for flying and pilots came in from Mpumalanga, Gauteng, North West and Limpopo. Friday evening everyone was summoned to the bar for a bit of socializing. Here the fun started with the initiation of all the new pilots and passengers to the Africa Cup. After a few welcome "barrel rolls, hail and rain" along with "turbulent flying" in the bar everyone was relaxed and looking forward to the rest of the weekend. Willie van der Merwe and Nico Willemse junior. 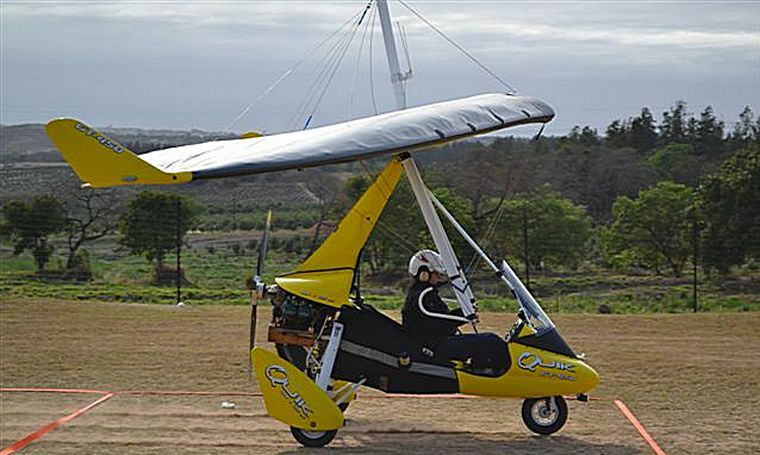 The competition started on Saturday morning with a time navigational event, flying in the lowveld. Pilots had to fly over the Sabie River towards the Kruger National Park, turn at a railway crossing towards a bridge over the Injaka dam and from there to a turnoff on the Graskop, Hazyview road. This was close to God's Window. From there they had to fly over plantations and mountains towards a marked runway. There they had to turn back to a T-junction just outside of Hazyview and then back to join over-head at the Numbi runway. The landing following that was a spot-landing. This was a great nav and the weather was not too bad. After this navigational flight some of the pilots took the opportunity to explore the surrounding area and some gave passengers a scenic flight. The weather turned nasty by lunch time and the wind was really pumping. The competition that was planned for the afternoon was cancelled and postponed for the next day, Sunday. With the weather playing up, the best activity left to do was meet in the bar and do what pilots do best on the ground…hangar talk. Sunday morning 06h00 local time the competition master gave a briefing and the participating pilots got ready for the competition. The weather was perfect. The competition started with a two timed circuit, flour bomb drop, bog roll cutting and ended with a spot-landing in a 150 meter dead stop. This was the first year that other aircraft other than microlights entered the competition. This was also the first year that a trike did not win the Africa Cup competition. 2017 saw the first Gyro to enter the Africa Cup competition as well. With the competition all done and the prize giving planned for the evening, pilots started refuelling and preparing for the trip back home the next morning. The prize giving was held in the conference hall at the Numbi Hotel. 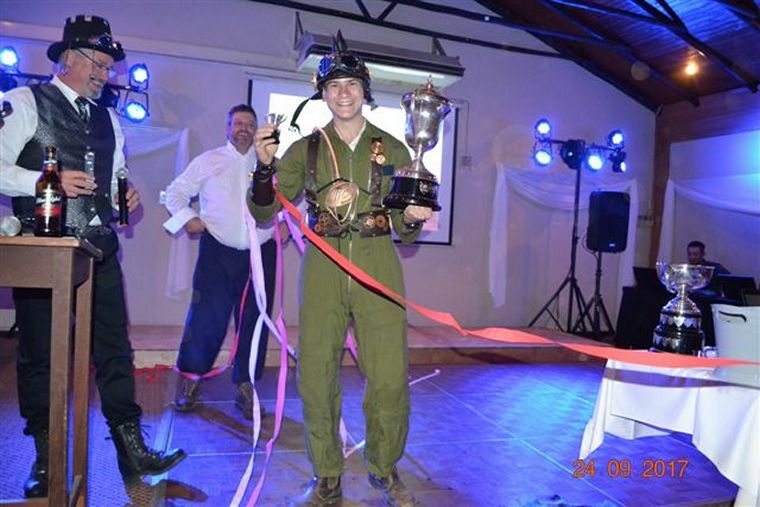 To make this prize giving event even more fun, every year there is a dress-up theme and this year the theme was STEAMPUNK! Some people dress-up only to avoid a booby prize while others go all out. With everyone all dressed up and in high spirits the air was electric and very festive. This year there was a young man who played the bag pipes while the pilots and their families entered the hall and this made the occasion extra special. The prize giving started with the booby prizes and ended with the Africa Cup champ being awarded. Almost every pilot received a prize. The 2017 Africa Cup rookie champ went to Nico Willemse jr, in a Scout. Second place rookie went to Johan Duvenhage,in a Aquilla and third place rookie to Pieter Steenekamp, in a Scout. The Africa Cup 2017 overall winner was Freddie van Rooyen, with a Challenger. Second place was David Hainsworth, in a gyro and third place was Fanie Lombaard, in a Cheetah.